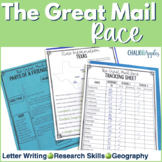 The Great Mail Race - Writing Project to Learn about the 50 States! 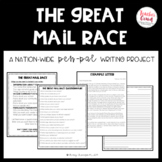 The Great Mail Race is also about meeting new friends and having cool pen pals. 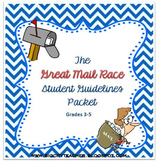 Is your class participating in the Great Canadian Mail Race? 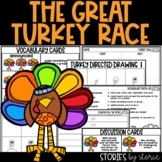 This resource provides them with a checklist of information to include in their letters, a letter template, and a rubric (link provided to Scholastic website). This exciting opportunity has been participated by students all over Canada! 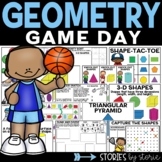 Included" -A powerpoint that discusses the parts of a friendly letter. 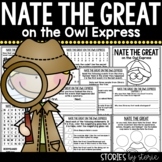 It goes step by step and each part of the letter has its own slide. -A word document that I cut up, laminate, and then have them sort the parts of a friendly letter -exit ticket -project (the instructions are on the powerpoint. Counting Coins Game: Race to a Dollar!